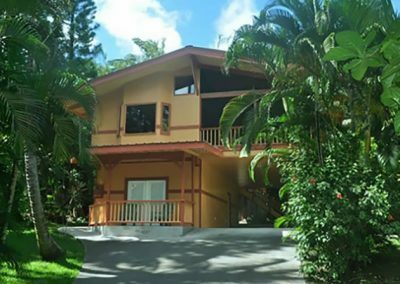 Enjoy a feeling of privacy and peacefulness while listening to the wonderful sounds of the ocean from this beautiful and unique custom home located in the much desired coastal community of Kehena Beach. 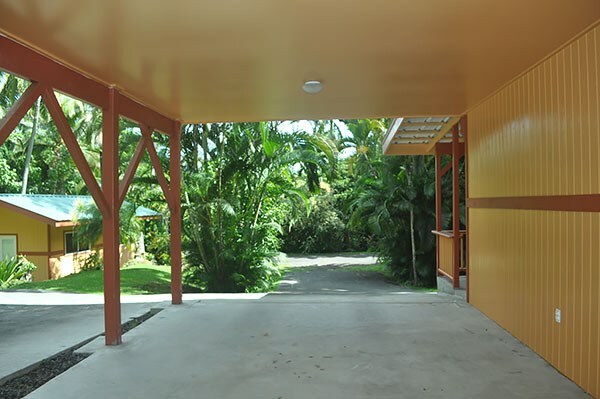 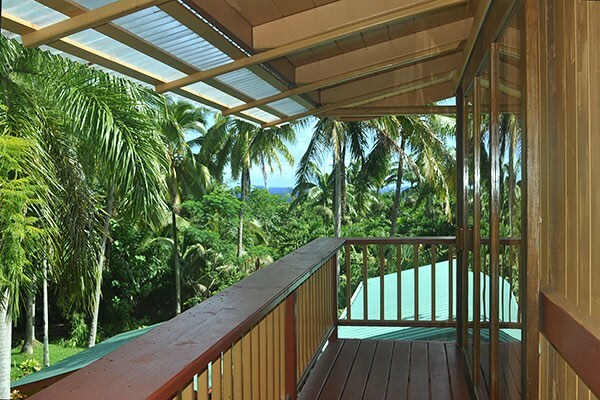 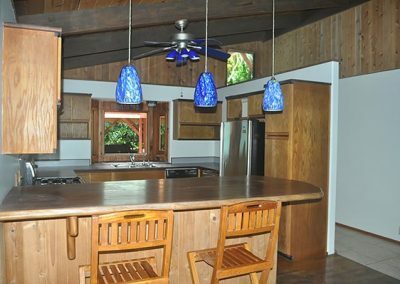 The home is nestled into an amazing tropical property and is the last lot at the end of a cul-de-sac. 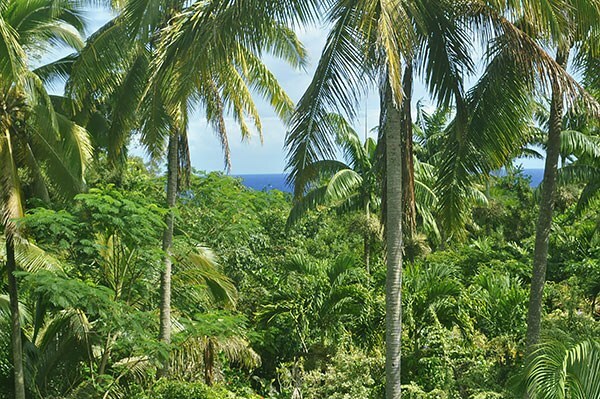 Adjacent to this lot is 125 acres of undeveloped state land. 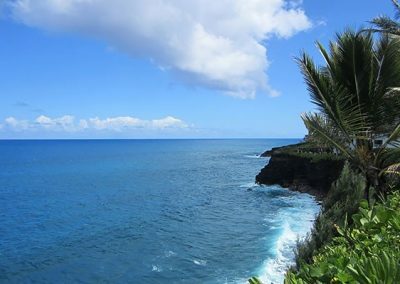 A short walk away is the ocean access. 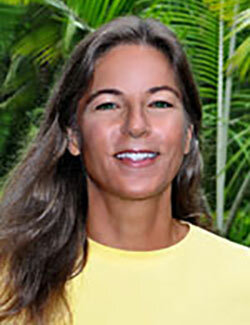 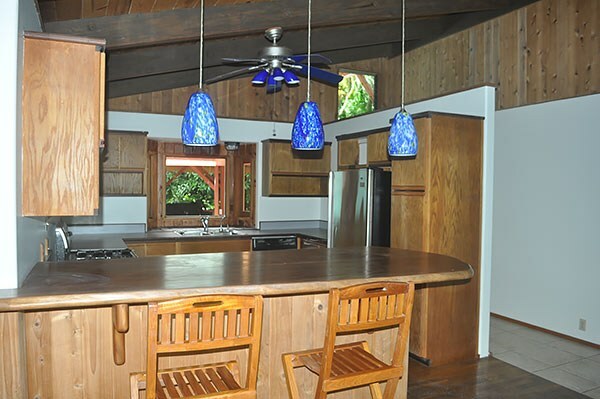 The home was built by an expert craftsman in true Hawaiian style to take advantage of the ocean views. 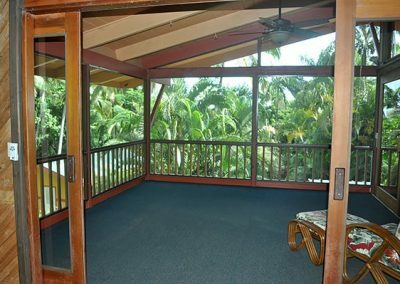 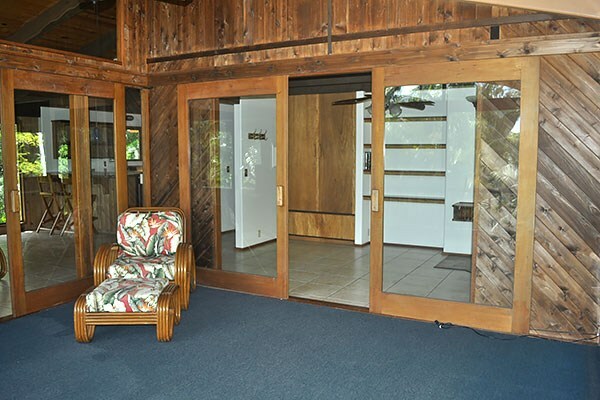 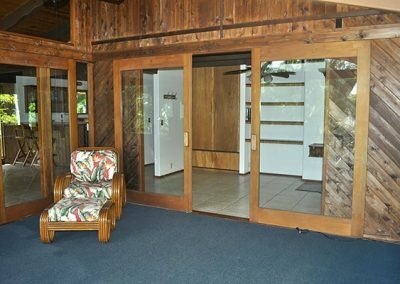 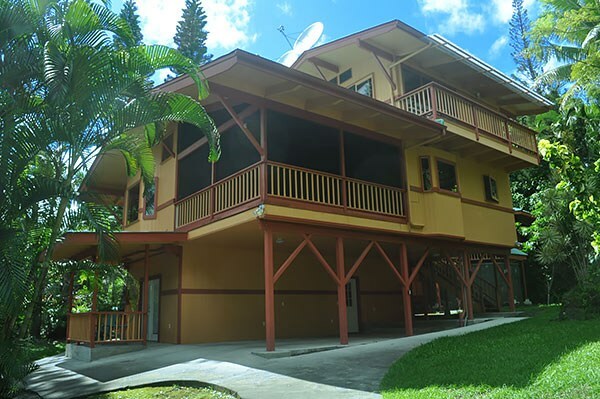 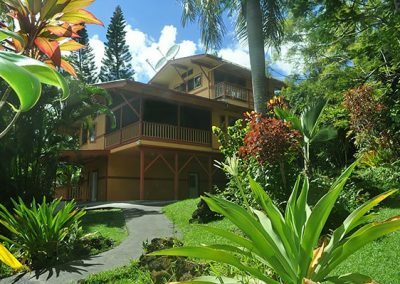 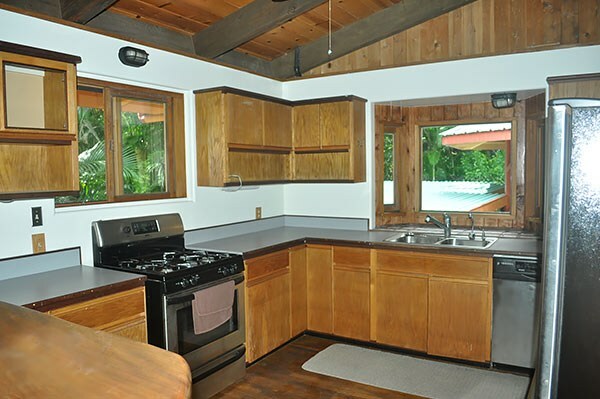 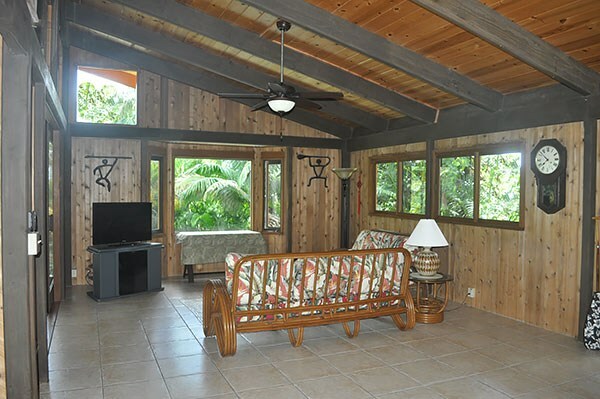 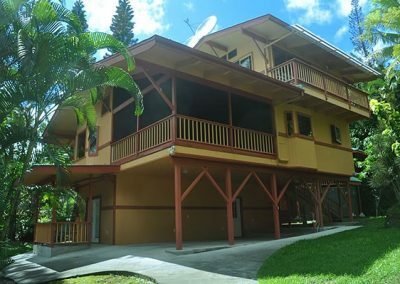 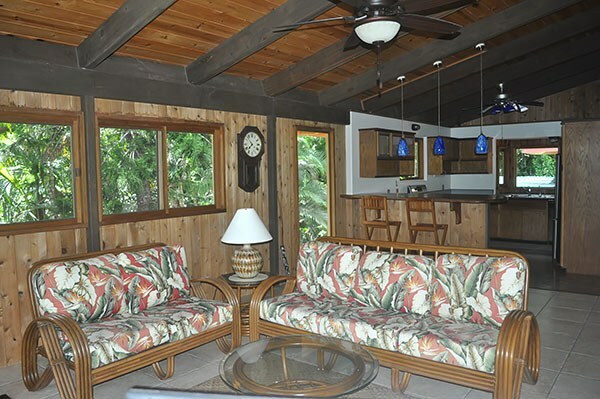 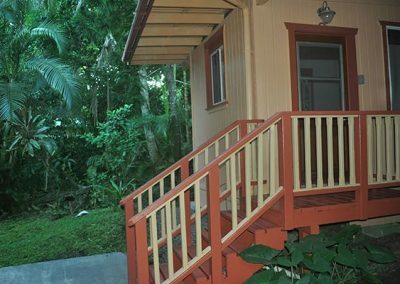 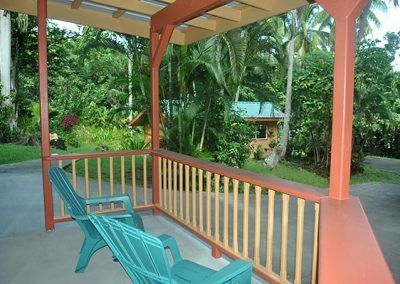 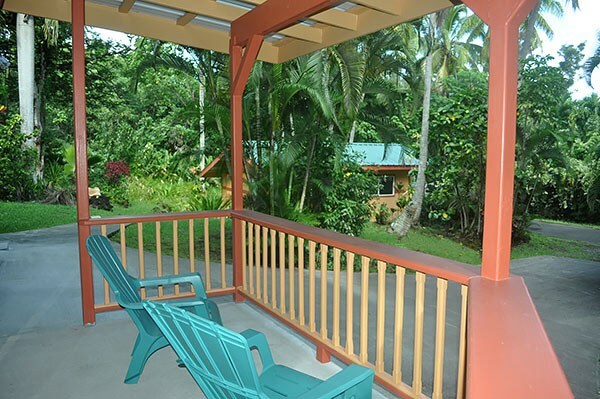 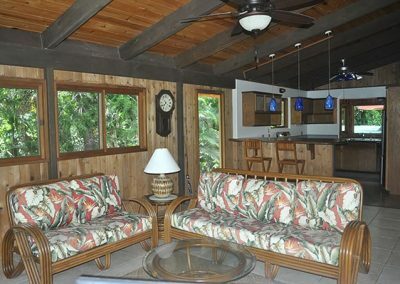 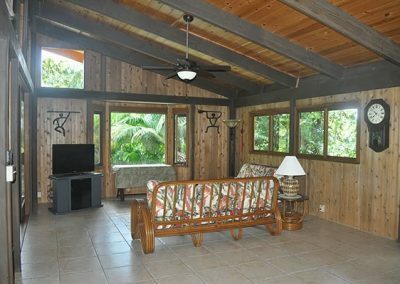 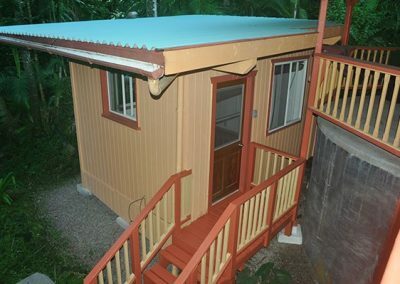 It has custom details throughout, large windows to let in light and the trade wind breezes and several large lanais to enjoy the great East Hawaii weather from. 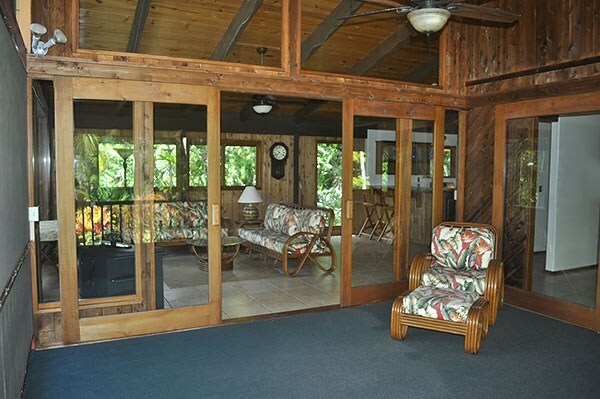 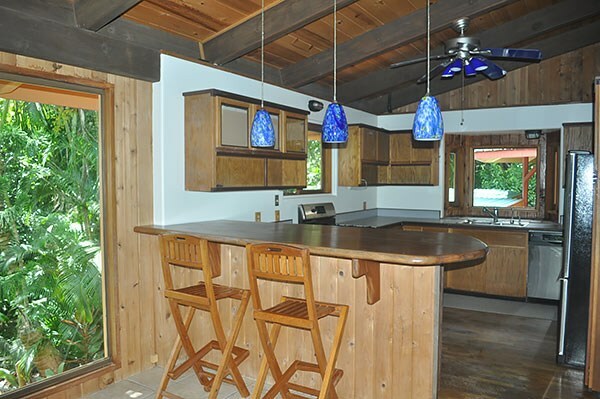 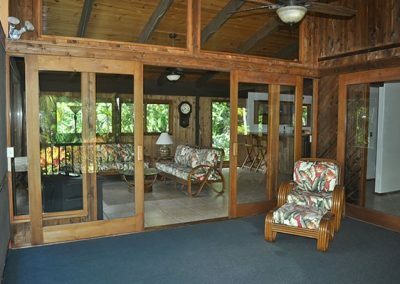 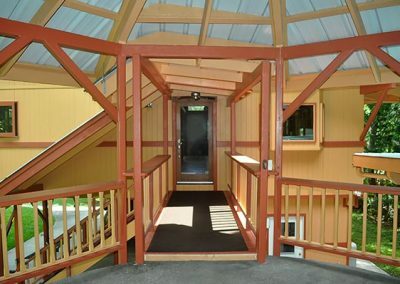 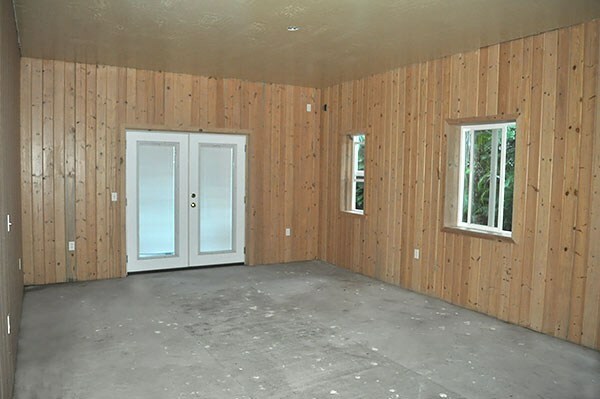 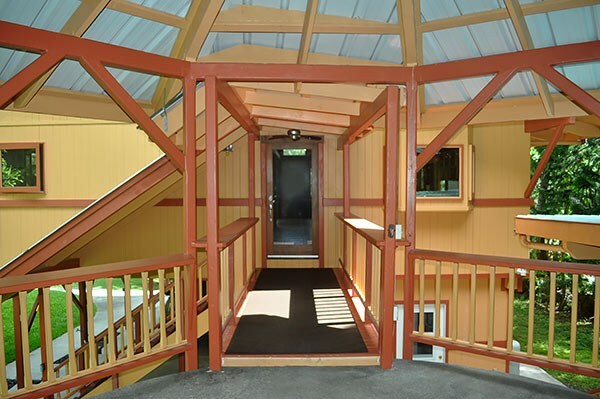 The main floor features exotic tropical wood details, ceramic tile, hardwood floors and vaulted ceilings. 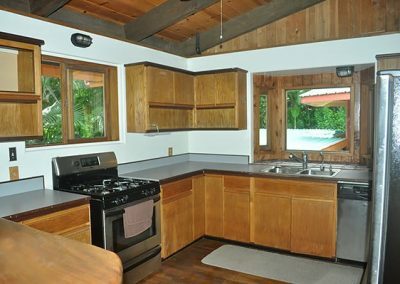 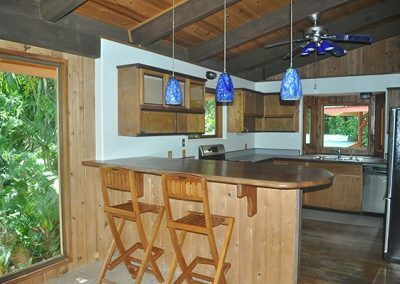 Here you will find the comfortably sized living area and custom kitchen with its inlaid wood floor, hand hewn Koa bar top and stainless steel appliances. 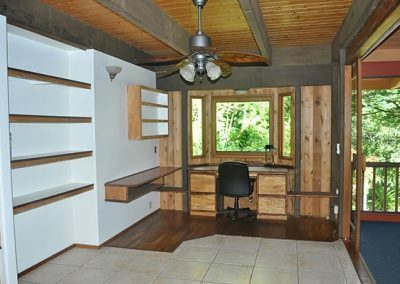 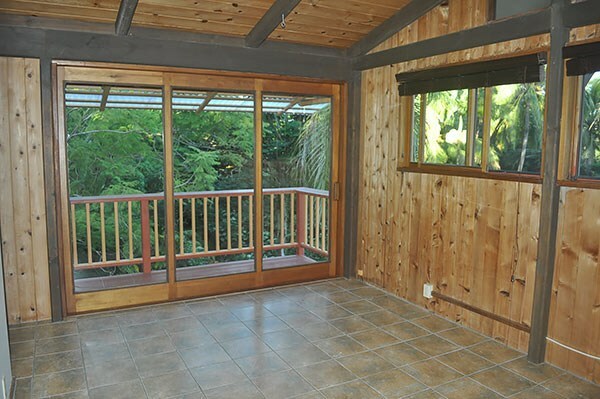 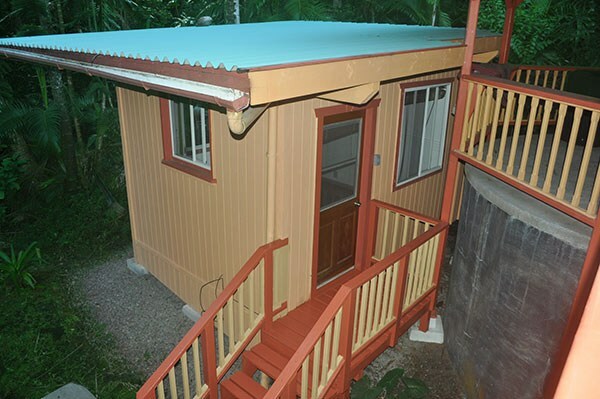 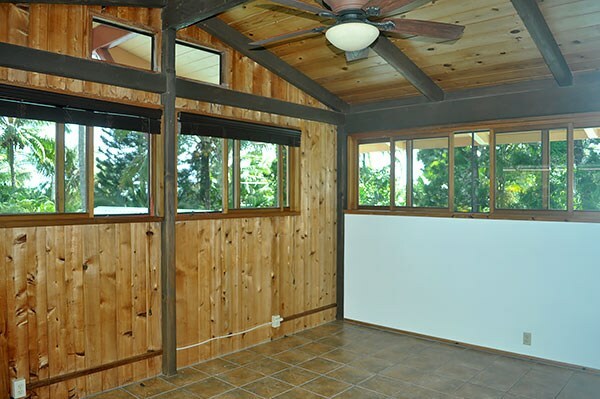 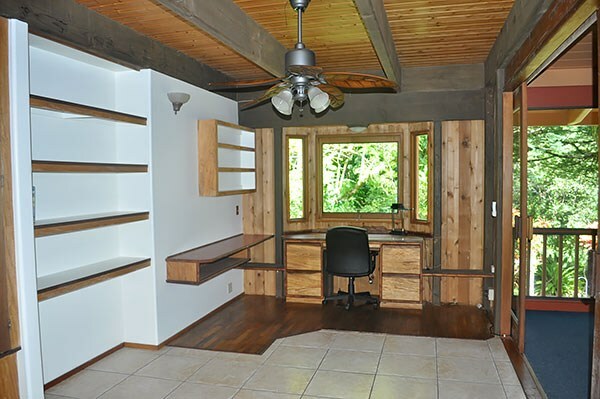 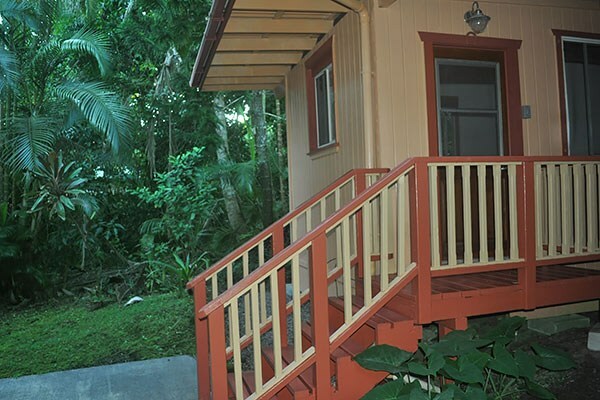 Kick back and enjoy the tropical surroundings from your screened 16’x16′ lanai or work from the adjacent office with its built-in shelving, storage closet and custom hardwood desk. 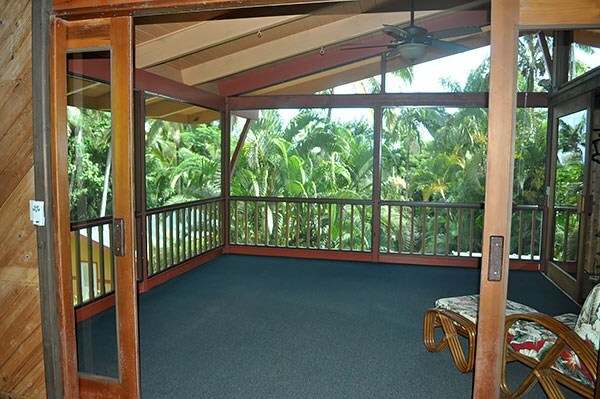 From the main level you walk up the tiled stairway to the master suite with its great ocean view and private lanai. 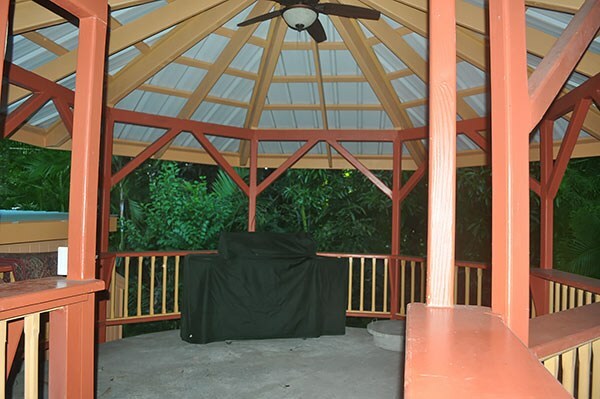 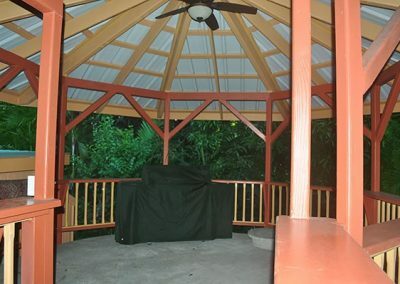 Off the main entrance is a gazebo lanai set up as the grill area with plenty of room for entertaining. 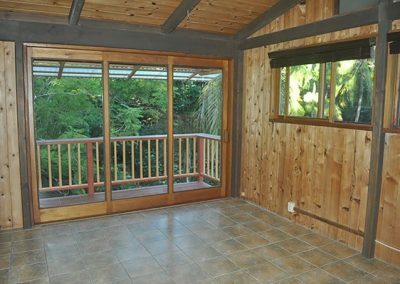 Just to the side of this is a detached cottage great for a yoga space or an additional bedroom. At ground level you have a carport and a large enclosed room with full bathroom which can be used as guest quarters or office. 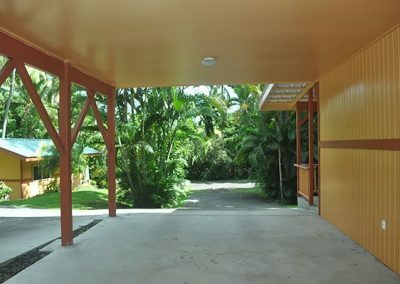 The indoor laundry room is located here. 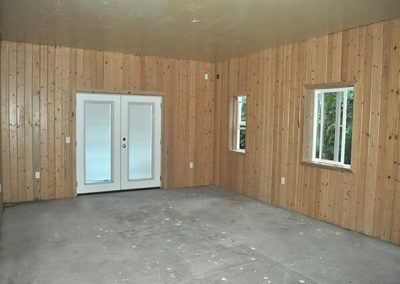 A detached garage is located at the front of the property. 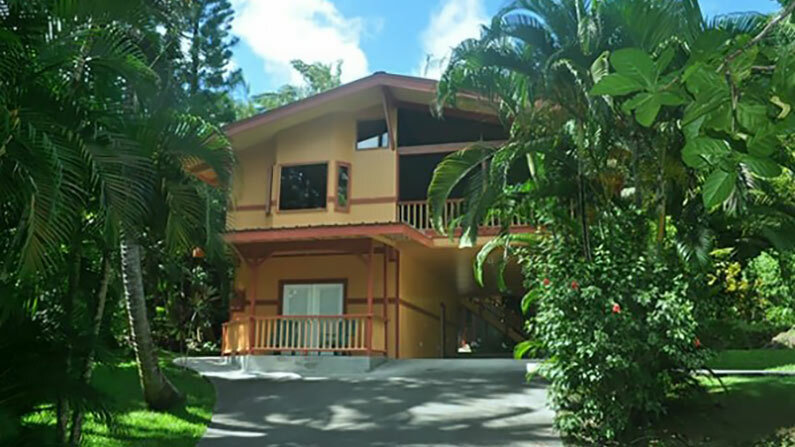 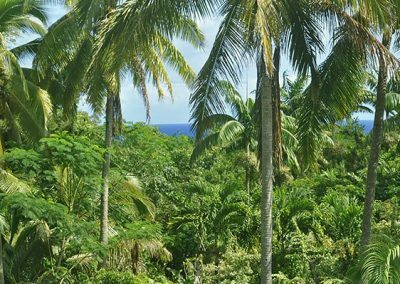 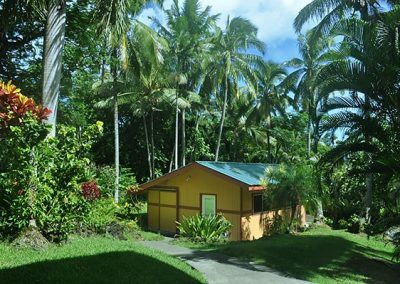 The property has been landscaped with exotic flowers, citrus trees, palms, papaya, colorful plants, a beautiful purple jacaranda tree, rock walls and more! 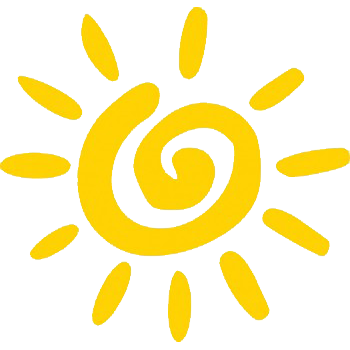 Kehena Beach is located on the magnificent East Hawaii Island coast that has a lot to offer and real estate prices are still very affordable.